A Common LadyFor years she had thought he was dead. Yet when Addis de Valence strode into Moira Falkner's cottage, there was no mistaking the sharp planes of his face, and the scar she herself had helped to heal. The young squire who had once been her hero was now her lord, a hardened man who returned to claim the son she had raised as her own. But Moira couldn't deny that Addis roused a passion she never thought to feel--and a perilous hope for a future that could never be....An Uncommon LoveAddis returned from the Crusades to find his lands usurped by his stepbrother, and his country on the brink of rebellion. Determined to reclaim his birthright, Addis could not afford to be distracted by a woman--even one as tempting as Moira. Yet the only living part of his contented past lay in Moira--and his desire for her was more dangerous than his deadly battles with the king's men. 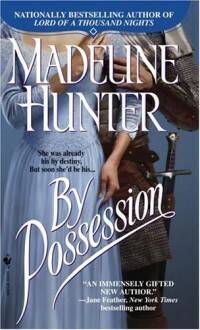 By law, Moira belonged to him...but possessing her heart might be far more difficult.